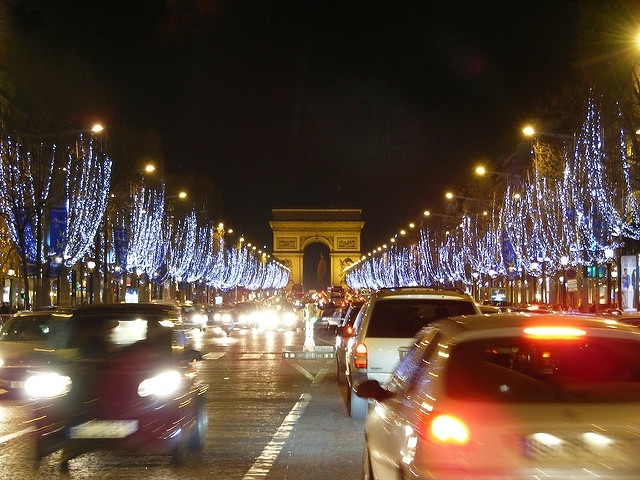 As France prepares for the last weekend before Christmas, temperatures are to rise to 5-7°C higher than the seasonal average; but drivers can expect gridlock on most major roads. Weather forecasts from Météo France suggest surprisingly spring-like conditions for most of the country on Saturday December 22 and Sunday 23, with temperatures as high as 20°C in some areas of the Pyrenees foothills and the Mediterranean. Overall, the north will see temperatures of 11-15°C with some sun and showers, and the south 13-18°C with sun and some cloud. Yet, rain and wind is forecast across most northern areas on Saturday and Sunday, and showers are expected for much of the Nouvelle-Aquitaine, Auvergne-Rhône-Alpes and Occitanie regions on Saturday. On the roads, traffic forecaster Bison Futé suggests that significant jams could be seen on roads leaving the Paris area on Friday (today), continuing into Saturday morning especially. The forecaster has rated Friday and Saturday traffic as "difficult" - and in Ile-de-France, "very difficult" - in the "departure" direction. Traffic is likely to be poor on all major national roads, especially those leading to Normandy, Tours, and Lyon, and around big cities, Bison Futé said. On Sunday, roads around Ile-de-France are expected to remain busy. Shoppers across the country are warned that traffic around major commercial centres will be especially dense, as people rush to finish their Christmas present shopping, or start to stock up on food for the festivities ahead.